“We’re not expected to stand in front of a camera and a microphone and be all perfect… no one wants to see that… people want to see us be real." 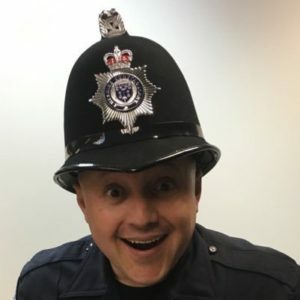 Jennifer Gardner interviews Sergeant Marc Marty, aka iDigitalCop, about law enforcement social media, live streaming and the role of police officers in their communities. Marc Marty is the Training & Personnel Sergeant with the Montebello Police Department in southern California. In Sergeant Marty’s 19 year career as a police officer, he has worked a variety of assignments. Currently, he is responsible for the recruitment and hiring of new employees wishing to join the ranks of the Montebello PD. Marc is also responsible for developing the department's training subjects and programs. Marc has been the driving force behind the development, implementation, and management of Montebello PD's online presence. As the department's social media manager and supervisor or the Community Relations Unit, he has experienced the positives and negatives of press relations, public relations, as well as internal relations, when it comes to the usage of social media in a law enforcement setting. He speaks publicly to educators and parents on the importance of internet and social media safety for children. He also speaks on behalf of Erase Child Trafficking, a U.S. based organization focused on eliminating child trafficking.